Did you know that the new FedEx Ground rates are much cheaper than the Post Office Priority Mail? Neighborhood Parcel of Tewksbury MA has partnered with FedEx to offer their services to area residents in Tewksbury, Dracut, Lowell and Surrounding areas. A quick comparison based on a 15 Lbs shipment to West Coast revealed substantial savings for a typical customer. In addition to the cash savings, FedEx offers an unmatched level of on-time delivery, real-time tracking and free value protection of up to $100 per shipment. The U.S Post Office tries to match these delivery features but continues to struggle most when they continue to raise prices without improvements to their network. We all had packages lost or delivered late because of a missing apartment number or the wrong zip code! Neighborhood Parcel has invested in the latest Address Verification Software, if you try to ship your package to the wrong address, the POS system will alert you and ask for address corrections. Unlike the Post Office where your package will be delivered back to you and you will lose your postage, Neighborhood Parcel will make sure your valuable package is delivered on time to the correct address. 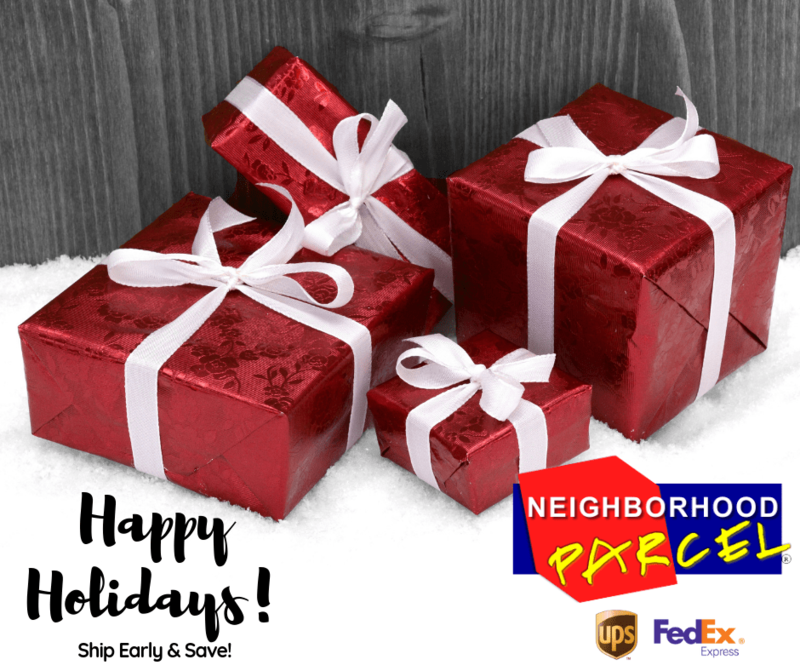 Unlike the Post Office, UPS Stores or FedEx Offices, Neighborhood Parcel is independently owned and operated. So we do not owe anybody, anything! Our loyalty is to the customer and that is why we designed a POS system that scans all carriers rates and presents you with the choice. UPS Stores limit their choices to UPS branded services, and so is FedEx and the Post Office! We believe that it is your package and your choice! Select the cheapest carrier or the fastest one to meet your budget and delivery commitments. I used to hate going to the post office to ship my gifts during the holiday season but that changed when I discovered that there is another alternative to the long lines at the Post Office. This Business center offered to package my gifts and gave me the choice of the post office, UPS and FedEx services. I was able to ship my packages using their FedEx rates and they turned out much lower than the Post Office. Not only, I was done in half of the time it would have taken me at the Post Office, I was also able to save about $25 on 4 shipments, so it is time for more shopping! Do what I did and give this place a shot! I highly recommend it. PreviousFedEx Shipping Center Tewksbury MANextHoliday Shipping Season Is Open!